Visit our blog for informative articles about Traditional Chinese Medicine and healing arts, holistic health and other related subjects of interest. 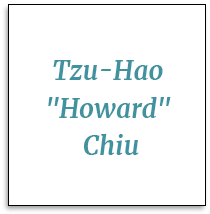 Howard Chiu brings vast clinical experience in sports therapy and rehabilitation to ARC Acupuncture & Physical Therapy. Having received his Doctor of Physical Therapy degree from Northwestern University, Howard has worked with the Spanish National Team; Taichung Armed Forces General Hospital, Taiwan; San Diego’s Spine and Sports outpatient clinic and Carson Tahoe Regional Medical Hospital, as well as rehabilitation facilities in Chicago. In his most recent position at HsiehShan Physical Therapy Clinic, Tainan, Taiwan, Howard evaluated and treated professional baseball and tennis players, as well as provided training during pre-competition. While at MinJin Healthcare Management Services in Guangzhou, China, he treated youth tennis players and was clinical instructor for Sun Yat-sen University of Medical Sciences Rehabilitation Department. Howard’s enthusiasm for athletics extends to volunteer service. He was physical therapist for the bicycle race, Race Across America in 2015, and was an assistant in the Wheelchair Basketball Team of Rehabilitation Institute of Chicago (RIC) in 2014.